All parent stories about raising a child with Down syndrome are special and unique, but in the hands of a good writer, they can have the power to reach, change, and resonate far beyond family and friends. And that is the case with My Heart Can't Even Believe It, by journalist, blogger, and NPR contributor Amy Silverman. Amy bravely looks at her life, before and after her daughter Sophie was born, and reflects on her transformation from "a spoiled, self-centered brat," who used words like retard and switched lines at the Safeway to avoid a bagger with special needs, into the mother of a kid with Down syndrome and all that her new identity entails. She describes her evolution as gradual, one built by processing her fears and facing questions both big and small about Sophie, Down syndrome, and her place in the world. 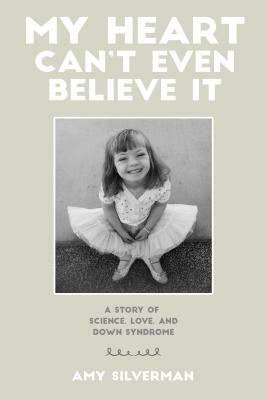 Funny, touching, and honest, this wonderful book looks at a daughter and her power to change minds and fill hearts with love so deep.